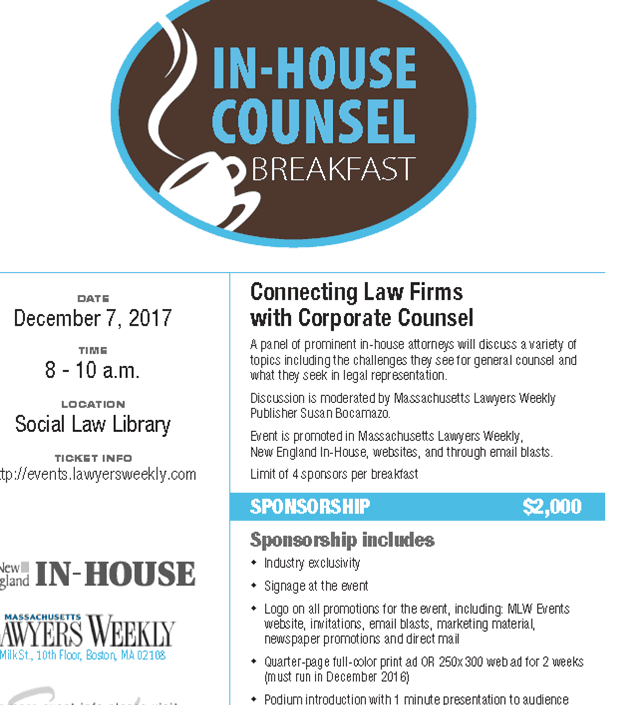 LicataRisk was happy to be the sponsor of the In-House Counsel Breakfast on December 7 in Boston. A panel of in-house attorneys discussed challenges general counsel face and what they seek in legal representation from outside counsel. The event was held at the Social Law Library in the Adams Courthouse in Government Center, Boston. It was produced by Massachusetts Lawyers Weekly publications. Brent Trethewey of LicataRisk gave the panelists and audience a thumbnail on the LicataRisk firm and the practice of risk management.